The very motto of Ford employees is One Ford…One Plan…One Goal and there have been thousands and thousands of employees who believe in that one single thing such that they even got the words printed in laminated cards. You ask why? Mainly because the motto is a reflection of what the chairman Alan Mulally has for the future of the company. Based on pursuing this particular vision, the company will have to be structured. 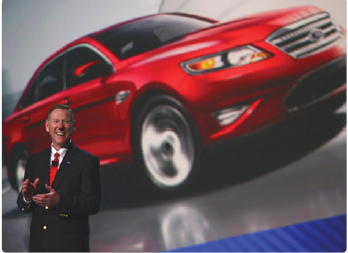 Mulally became a member of Ford in the September of 2006 after leaving Boeing at a successful place. Fords at that time was going through obstacles and facing its own challenges and hence needed a man like him to hold the reigns. The financial condition of the company was going through a degrading phase since it had to face problems in the form of deficiencies in product development and manufacturing as well as tremendously tough competition from the other rival car companies. It was family member Bill Ford who actually picked Alan Mulally as the CEO of the company as his successor. It was Alan’s skills at building team and his industrial savvy which made him the best person to follow the steps of Ford. They believed, Alan will be perfect person who will drive the employees towards giving their best in the company. The first thing Boeing did after becoming the CEO was start dusting off strategies he followed while in Boeing. Three were many ideas of his which he wished to implement in improving the condition of Ford, plans which had been previously effective while rebuilding Boeing and turning it towards a positive direction. He realised all the challenges which the company was facing, thus preventing it from achieving the profits and strategic competitiveness it deserved and he was more than determined to make the necessary changes. He wanted to make the company undergo a complete transformation and return to the place of prominence it is supposed to be at. The way forward plan was initially followed by him which was announced in the month of January, 2006 and it was in September, 2006 that the plan was officially implemented when Alan became the CEO of Ford. This particular plan concentrated on the seven areas which mainly focussed on making strategic changes. These seven areas included confident leadership skills, focus on the needs of the customer, strengthening the brands, products needed to be bold and innovative, improving the quality of the products, prying needed to be clear and absolute, the capacity and cost should be in reference to the current market situation. There were four important priorities as was identified by Alan Mulally which he wanted his team to focus on. firstly, he wanted to restructure the entire company so that it could operate with profits at the current demand of the market and also change the model mix. Secondly he wanted to increase or accelerate the production and development of those products which are wanted and valued by the customers largely and in the process he wanted to reduce the complexity and highly improve the quality. 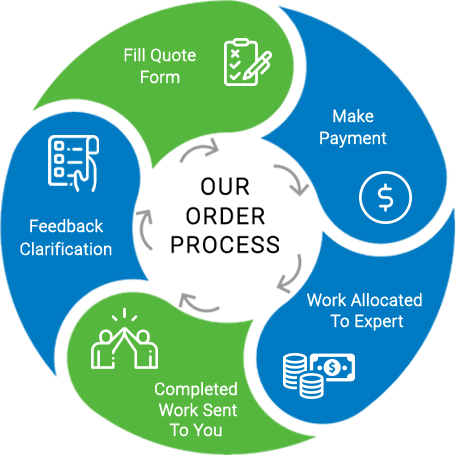 Thirdly, money is required to implement his plans and hence he needed to obtain financing and bring improvement to the balance sheet and finally he wanted to work in unison with all his partners to lead the company to success. Additionally, to the way forward plan, Alan also wanted to leverage the worldwide resource of Ford through his strategy. H wanted to make the most sue of the human resources as the competition is huge and they needed to be outstanding to stand their own ground in this fierce competition. All it needed was a single team working together towards achieving the single goal. His efforts and strategies are what guided the company towards success over the next few years. It was in the year 2010 when at the auto show in Detroit, Mulally unveiled the dream Ford card which he wanted to be the company’s redemption as well as comeback into the industry. The focus, being the name of the car was truly a global car and was made for customers from all over the world by one single team. He was hopeful that this particular car will mark their comeback and pave way for many more such successes.